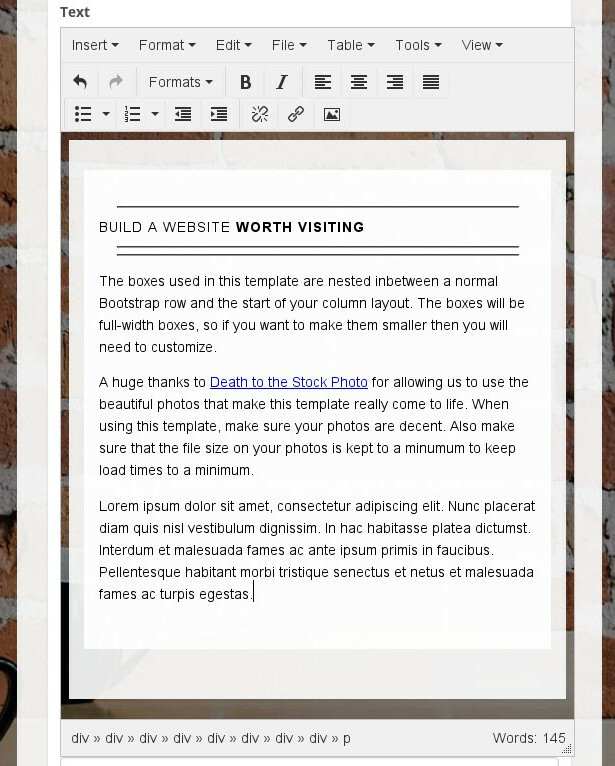 TinyMCE has a templates plugin which provides an easy way to create complex content in TinyMCE. You can use that to help users to add complex content structures like predefined tables or content. The users then need to customize this content to their needs. We already have a folder named tinymce-templates in our theme folder. 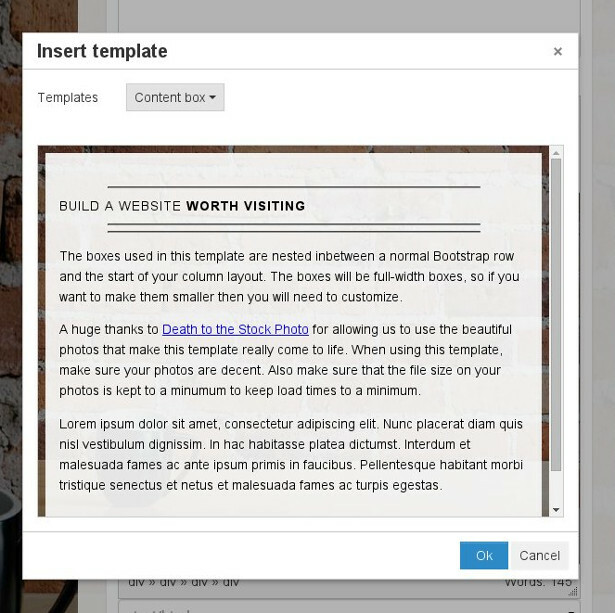 bobtemplates.plone already created an example template for us, but we will add another one. This is the template content we will get in TinyMCE when we use this template. In the next section we will see how we activate that template in our theme. The activation of the TinyMCE template plugin is already provided by bobtemplates.plone. The only thing we have to do is to add our template to the registry in the file ploneconf.theme/src/ploneconf/theme/profiles/default/registry.xml, like described below. In the next step we have to register our newly created TinyMCE template so we can use it in our Plone website. After adding this code to the file registry.xml, we need to restart Plone and uninstall/install our theme package add-on. We can now customize it or use more templates to create more content.